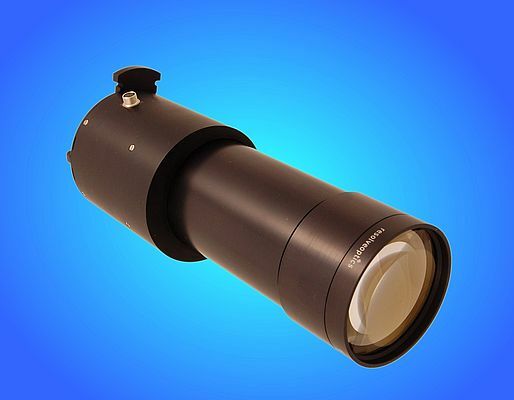 Resolve Optics offers a complete custom Ultraviolet (UV) lens service including conceptual design consultancy, prototyping and manufacturing of production quantities to provide customers with a unique solution optimised to their application needs. UV Lenses are used in many applications. Resolve Optics Custom UV lenses are manufactured from high grade materials that provide greater than 85% transmission from 200 - 400nm. The use of multiple optical materials in a custom design enables the lens system to be colour corrected. Resolve Optics provide an optimised UV lens solution by addressing all your design considerations including specifications, budget and delivery timetables. In addition, Resolve Optics has expertise in electrical and mechanical design which enables us to optimally integrate our lenses into your system.